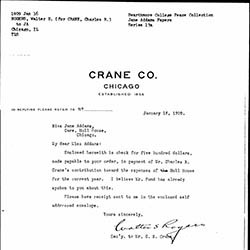 Walter Stowell Rogers was secretary to Charles Richard Crane, owner of Crane Company. He graduated from the University of Chicago in 1902. Rogers worked as a reporter for the Chicago Daily News while taking law classes at night. He was a member of the Technical Publicity Association and the Ways and Means Committee in Chicago. Rogers was also manager of the Chicago office of La Follette's National Progressive Republican League. In 1919 and 1920, He was the publisher of the Washington Herald. In 1930 Rogers and John Crane became the managers of Charles Crane's Institute of Current World Affairs. Rogers married Edith M. Carey in 1903. The couple had three children together. “Rogers, Walter Stowell (1877-? 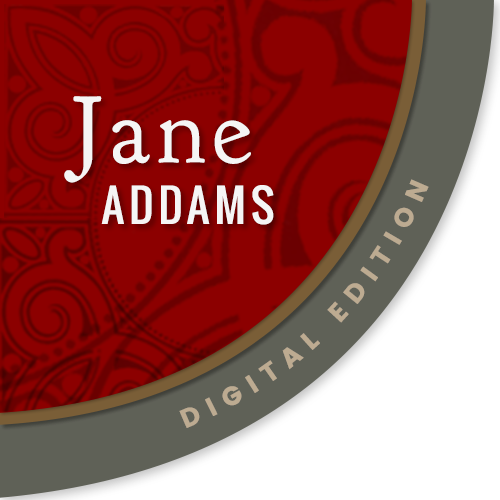 ),” Jane Addams Digital Edition, accessed April 25, 2019, https://digital.janeaddams.ramapo.edu/items/show/3131.